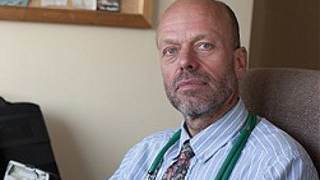 The General Medical Council in the United Kingdom has issued a warning to a Christian doctor for sharing his faith with a patient. Dr. Richard Scott has been under investigation since 2010, when a 24-year-old man filed a complaint against him for talking about Jesus at the end of an appointment. The man had been suicidal and was taking medication. Scott, who works at Bethesda Medical Center in Kent, says that he has been witnessing to patients for years, but has never received any warnings or marks on his record before. The complainant stated that he did not wish to file the complaint, but was urged to by his mother. Earlier this month, the General Medical Council met in secret to discuss the situation — so secret that even Scott’s attorneys were not allowed to attend. The complainant testified via telephone. When the ruling was issued, the General Medical Council admitted that it heard conflicting accounts. While Scott had said that he gave his patient kind and gentle counsel, the patient allegedly testified that Scott warned that if he did not “turn towards Jesus, then he would suffer for the rest of his life” and that the doctor would not provide medical assistance. The council found such a comment to be abrasive. While disappointed, Scott, a former missionary doctor, said that he had prayed a special prayer not long before the harrowing incident occurred. “I asked God to send me a challenge that would resonate with people to make them see the importance of faith,” he said. Scott has now received a warning on his record, which will remain in place for five years.